Home » How to transfer music from iPod to iTunes? The method below works if you want to transfer music from iPod to iTunes as well as iPad and iPhone. The solution works perfectly for transferring iPod music to Windows 10. Install the program. If you need help installing CopyTrans, please refer to this article. Make sure iTunes is not running, then start CopyTrans. Connect your device to the computer. Your iPod songs and playlists will appear on the interface right away. 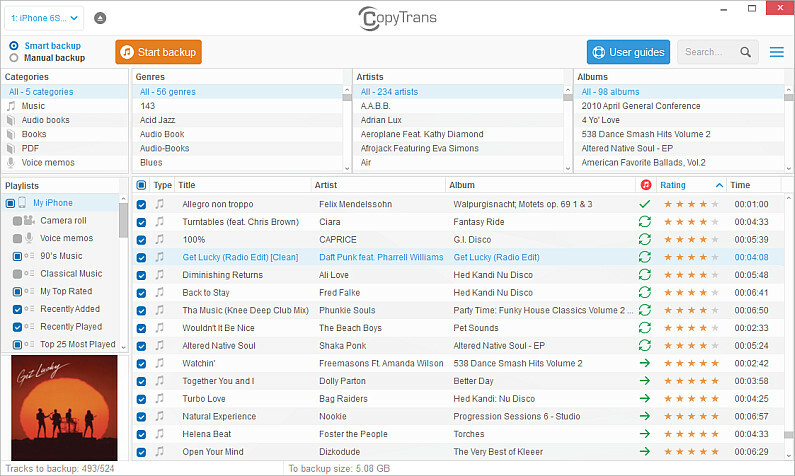 CopyTrans will start copying your iPod music to iTunes. It automatically compares the contents of your device with the iTunes library to avoid duplicates. In addition, all track-related data such as ratings, playcount, date added will also be automatically transferred and updated. TIP: You can transfer up to 200 songs from iPod to iTunes for free. That’s it! You now have your complete iTunes library that is an exact copy of your iPod. 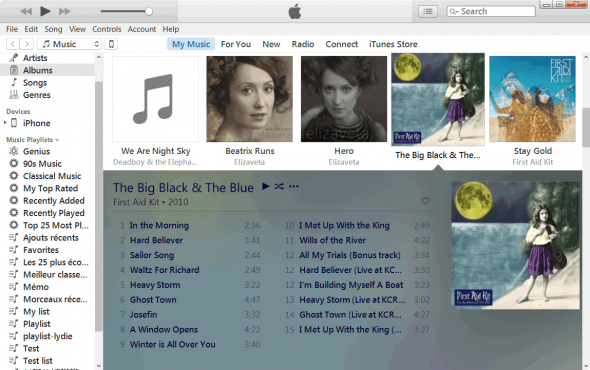 You can now sync music from iTunes to iPod without hesitation. BONUS: If you wish to transfer music from iPod to computer without iTunes, try Manual Backup option and copy iPod music to any folder on your computer. How to transfer iPhone playlists to PC?